2. In total 3 Secrete keys (1 for Client, 1 for File Server, 1 for KDC itself): Which never ever travels over the network. 3. Total 2 Session keys, will be generated during the process and valid only for 8 hours session. (They will travel over the network and data is encrypted by these keys when communication happens between client and KDC ,client and File Server). 1. Client/You want to access the FileServer in the network, but you are not authenticated user at first. 2. You will send a request for getting “Ticket Granting Ticket” from the KDC. a. While sending the request your message will be encrypted by the Client Secrete key which, is only available with you and KDC. b. KDC checks its database whether you are real user or not and find the secrete key to decrypt your message. 3. Now KDC will create TGT (Ticket Granting Ticket for you, this TGT is encrypted by KDC key and owned by KDC only) and a Session Key (S1). a. Bundle Both TGT+S1 and encrypt the bundle with user key and send to the client. 4. Now at client side, this bundle will be decrypted using Client Key. However, TGT cannot be decrypted because it is encrypted by KDC Key. 9. Now Client has the ticket to request file server. 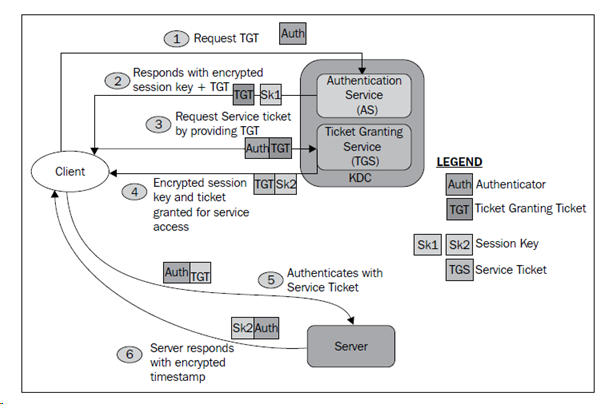 a. Server will check service ticket is encrypted by Server key and not impacted/touched. b. It will authenticate the user and send the acknowledgement to client. If you are already a Java developer then it is the perfect opportunity to grab the deal in a secured career. No doubt that this type of framework is extremely easy to learn. But if you are already a Java developer, then that professional who wishes to switch from Java to Hadoop can easily do so since the script of MapReduce is already written in Java. This means you can certainly expect the most lucrative package with better security.